Have you ever considered organising a conference? Did you know it can help you develop the transferable skills that will make you more attractive to employers? 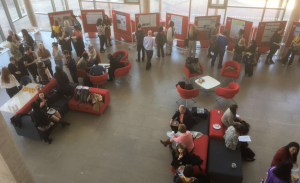 In April, we hosted our annual Breaking Boundaries student-led conference for postgraduate researchers (PGRs) in the arts, humanities and social sciences. 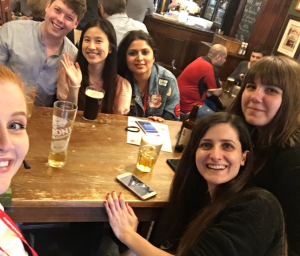 Here, we catch up with Archaeology PGR Adelle Bricking and find out what she enjoyed about being on the conference committee and why she can’t recommend it enough! Hello Adelle! Congratulations on a really successful event. What was the best part about the organising the conference? New friendships. I made many new friends that I cherish dearly – both fellow committee members and presenters. We still hang out even though we don’t have to! Confidence boost. As a first-year PhD student, I was struggling to find confidence that comes from seeing tasks through to completion. Being part of a project and witnessing it grow from the beginning into a successful, stimulating event was very satisfying. A welcome break. Organising the conference was also a welcome break from my own research project without the guilt of procrastinating because, after all, I was developing useful and relevant skills! Probably the most fun I’ve had at lunch, ever. And what was the best part of the day itself? Watching the presenters and delegates enjoying themselves and networking (and networking myself) was definitely the best part of the day. The place was abuzz with enthusiasm. It was so cool to see people from different universities and disciplines exchanging numbers, supporting one another and making plans to collaborate. It was a really positive event and I was humbled to have had a part in making it happen. Do you think organising the conference will help you with your research and/or employability in any way? The reason I signed up to be on the steering committee was because I saw the value in the transferable skills on offer. Such skills demonstrable from organising Breaking Boundaries include: leadership, organisation, social media outreach and marketing, budget management, graphic design, interpersonal skills, teamwork, networking, and meeting deadlines. Through the experience, I have also been inspired to plan future conferences, and have already volunteered to host a conference related to my research at Cardiff University next year! Every year we invite PGRs to be on our conference committees. Would you recommend that other PGRs get involved in organising a conference? I couldn’t recommend it enough! It’s a great experience for skill development and networking, but also understanding the process of an academic conference. I feel much more prepared to be involved in hosting conferences as well as presenting at them. The Doctoral Academy is there to help every step of the way, so it’s relaxed and fun. 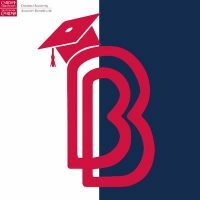 If you’re interested in being on the committee for one of next year’s student-led conferences, please drop us an email at doctoral-academy@cardiff.ac.uk or look out for our emails and tweets nearer the time. Did you know we also offer funding for PGRs who want to organise their own interdisciplinary activities? Our aim is to bring together researchers from different disciplines, to help you build your research networks and appreciate alternative approaches. By working together to organise an activity, you’ll also develop really useful transferable skills. The funding can be used to support conferences, as well as forums, reading groups, seminar series, workshops and other activities. If you’re interested in applying for funding, more information can be found on the intranet.